The photographer artist statement is a core ingredient of your artist package and has so many uses. This is where you can show your passion for your work and clients can get to know you. Like a resume, it’s great to have an updated bio that reflects your current work. It is ready to go for an exhibit, a press kit or to send to a gallery. From my experience at the retail gallery – customers really want a current bio and are so appreciate – almost like they’re getting a little extra gift. 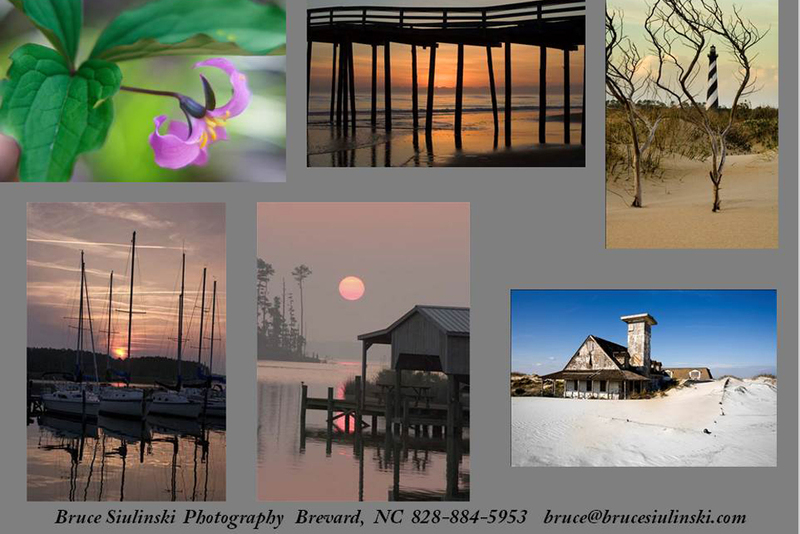 This is an example bio for Stuart Wanuck, a photographer from Florida who also shows his work in Western North Carolina. One of his specialties and his passion is photographing birds. 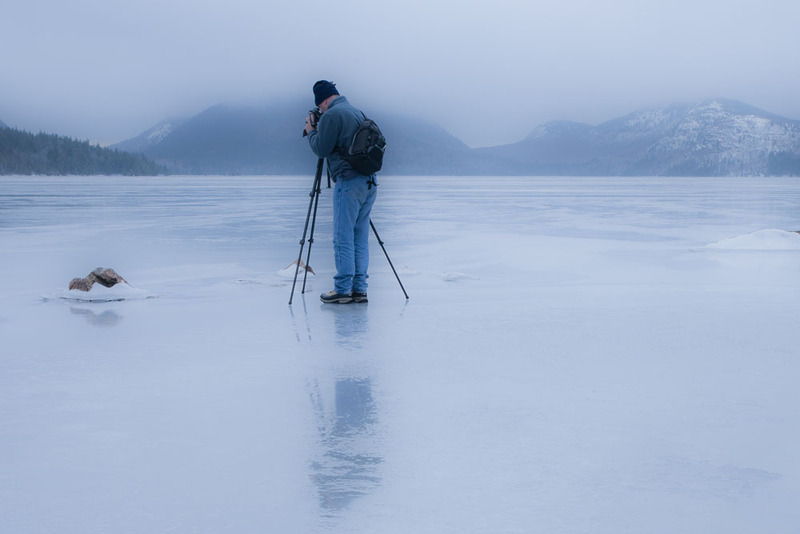 The image below is of my brother-in-law, Jim Siulinski, taken at Acadia National Park in Maine by my husband, Bruce Siulinski. Jim is an outdoors enthusiast (hiking, canoeing, kayaking…even building his own canoe!) This image is such a great reflection of the outdoor passions that complement his photography and is great for a professional bio. Another great marketing piece to have in your marketing toolkit is a color “mini brochure” – this has so many uses: for editorial submissions (make sure to follow the specific guidelines for each publication! ), to send samples to a customer, for your press or media kit. As always – have fun with your design! Find inspiration from other artists and categories and other businesses. Here’s an example of an artist hang tag. I don’t often see this used with photography. It can be a great education element and like a bio gives customers a little something extra to get to know you! You can share a bit of your philosophy, your camera equipment an iconic image, etc. When working with galleries delete your contact information so clients/customers can work directly with the gallery. The actual piece below is a little larger than a standard business card. Public Relations (PR) materials are a professional addition to your press/media or gallery packages. 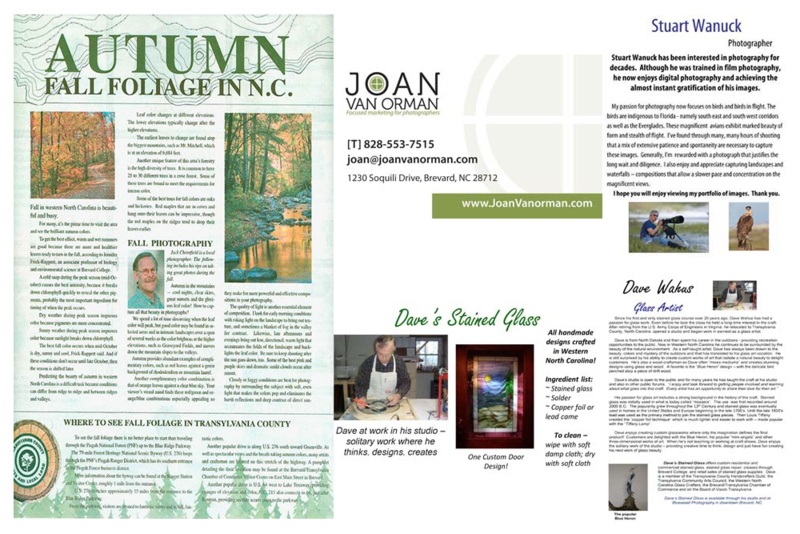 North Carolina photographer Jack Christfield wrote a column on photographing the wonderful fall scenery of Western North Carolina. In addition to the great press, it’s a tool that he can use again. These are just a few of the tools that are helpful in photographic marketing. My top priority is having fun with marketing and hopefully you’ll find some creative and fun ideas!